Coach Tony has always had a passion for sports and competing. He really enjoyed the process of training his body and mind for whatever sport or competition was in the future. This love naturally turned into a passion for fitness, which led him to CrossFit. 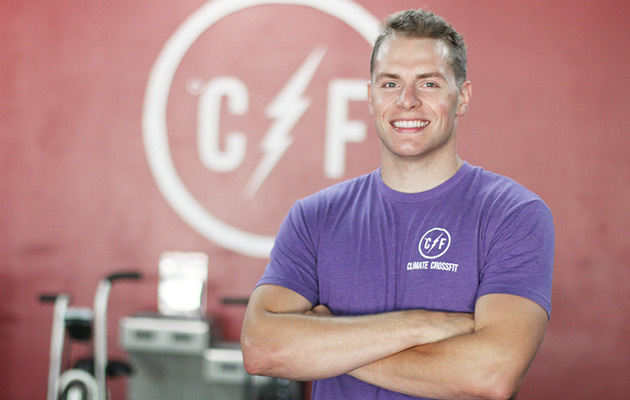 After playing college soccer and majoring in Exercise Science from the University of Nebraska, Mark turned his passion into a career, when he started personal training and coaching soccer. With 7 years of Crossfit experience and 6 of those coaching Crossfit, he brings a lot to the table. Over the course of my education I was able to work with and train athletes of all ages and skill levels. This is when I developed the love for seeing people improve not only in strength but also their confidence and self esteem through the training process. CrossFit has afforded me the ability to do things I always hoped I could achieve. The chance to improve on my own personal fitness, nutrition and then the chance to give that back to like-minded people. Growing up I was an active kid playing soccer, softball and volleyball through high school. As an adult I needed something to keep me in the competitive spirit. Finding CrossFit 8 years ago was exactly what I needed!